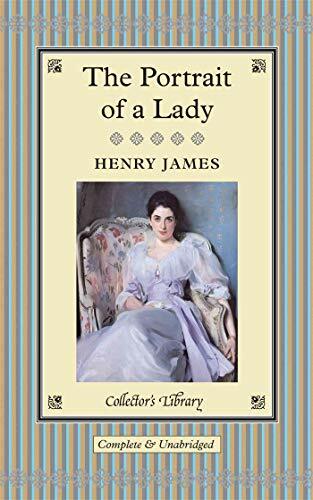 In The Portrait of a Lady Henry James tells the story of one of his most enchanting heroines, Isabel Archer, a young New York woman whose life is changed when she is visited by her aunt Mrs Touchett following the death of her father (her mother having died long before). Isabel is invited to accompany her aunt back to Europe, and fascinates everyone with her beauty, intelligence and vivacity. When she inherits money from her uncle this turns out to have unexpected and undesired consequences. With an Afterword by Sam Gilpin. Henry James was born in New York in 1843, the younger brother of the philosopher William James, and was educated in Europe and America. He left Harvard Law School in 1863, after a year's attendance, to concentrate on writing, and from 1869 he began to make prolonged visits to Europe, eventually settling in England in 1876. His literary output was both prodigious and of the highest quality: more than ten outstanding novels including his masterpiece, The Portrait of a Lady; countless novellas and short stories; as well as innumerable essays, letters, and other pieces of critical prose. Known by contemporary fellow novelists as 'the Master', James died in Kensington, London, in 1916.